Saturn’s 4th largest moon is mostly made of rock and ice and orbits within a region of space that is filled with highly energetic atomic particles. This is called Saturn’s Magnetosphere. 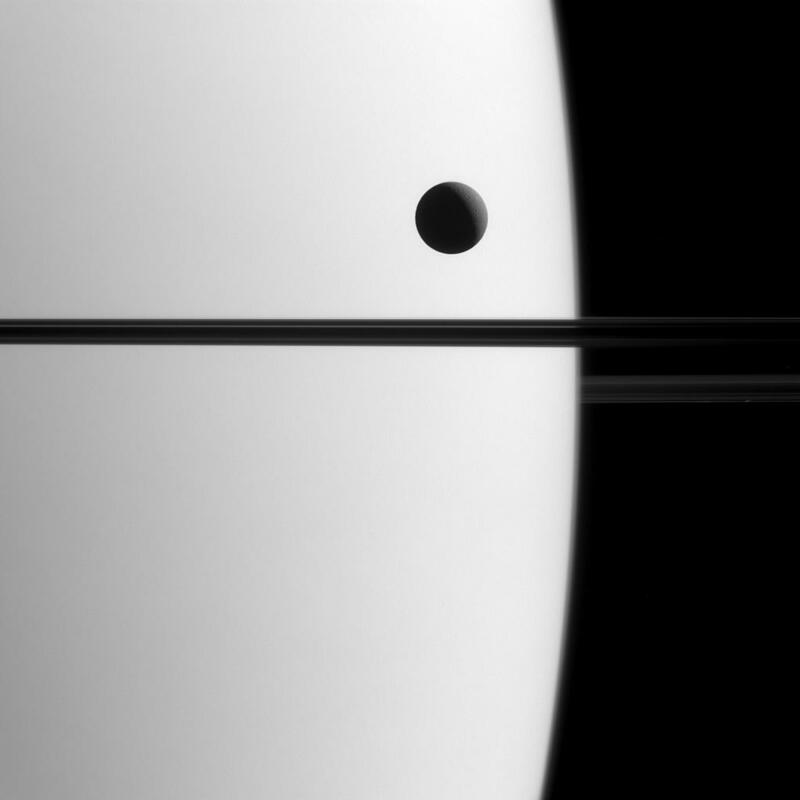 The same face always points to Saturn, making it ‘tidally locked’, however some scientists speculate that past impact events have spun it 180 degrees. Voyager 1 was the first spacecraft to visit Dione in 1980 and it returned with some unusual images – wispy features thought to be ice volcanism were later identified as ice cliffs by Cassini Orbiter in 2004. The Cassini-Huygens mission is a NASA/ESA/ASI mission to explore the Saturnian system. Saturn is the second largest planet in our Solar System. Jupiter is the first. You cannot stand on Saturn as it is made mostly of gas. Its rings are made up of bits of ice, dust and rock. A year on Saturn is more than 29 Earth years. A day on Saturn is 10 hours and 14 minutes. Make sure to subscribe to our email updates. Follow us on Twitter and like us on Facebook. For more space images, follow us on Instagram.